Want to take your puzzle and speed cube skills to the next level? 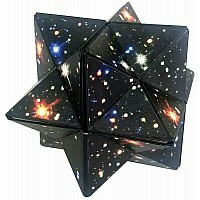 Challenge yourself by playing with this fun toy and discover how a 4x4 cube turns into TWO 12-pointed stars! 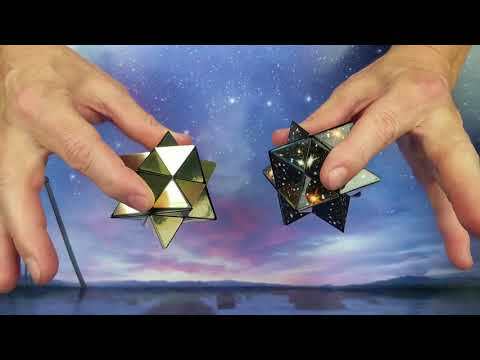 Meet California Creation's Amazing Star Cube: a geometric puzzle game that can be shaped and rebuilt into 12-pointed stars, squares, rectangles and more! This geometric brain teaser puzzle transforms right before your eyes with smooth gliding pieces and no restrictions. It is a blast that provides hours of entertainment and fun. Star Cube always keeps your mind working. It's great for killing time, anxiety release, concentration, sensory processing, imagination, creativity and most importantly: FUN! It will definitely keep your brain buzzing as you try to figure out if it is one cube or two? One star or two? 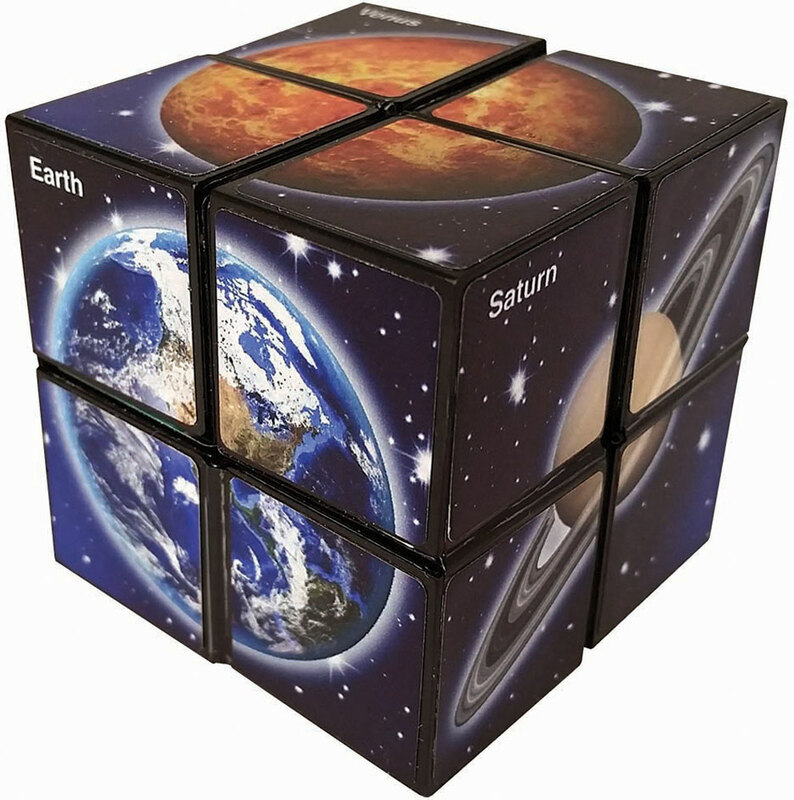 Can your stars fit back into the cube? Endless possibilities with 48 different photos of the cosmos that can create bigger versions of 12 parts of the universe, including planets and the Milky Way galaxy. Each cube has 24 square faces. Each star has 48 triangle faces each with a pictures of different star clusters. 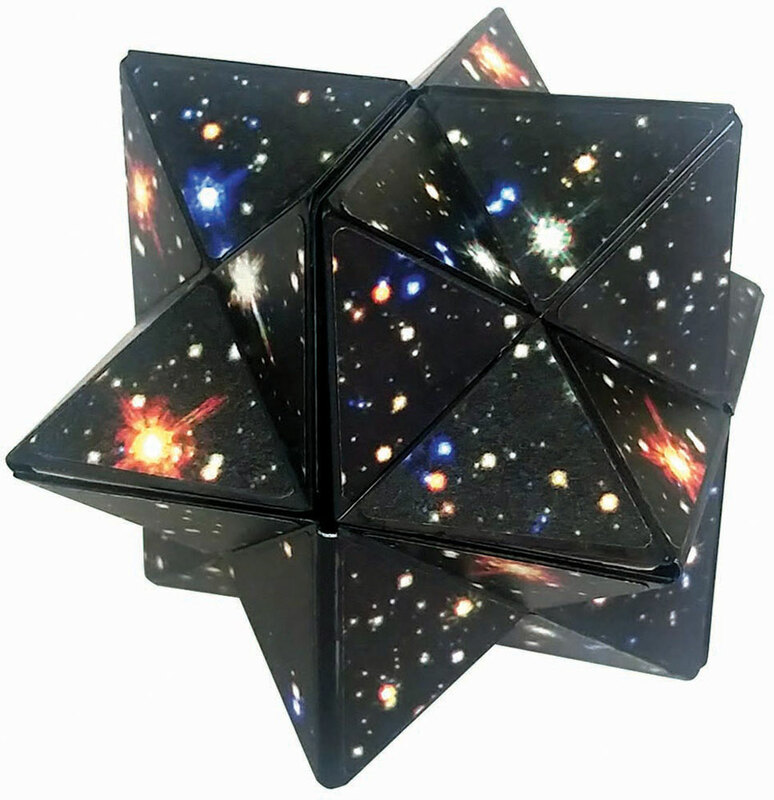 The Star Cube is an addictive fidget desk toy that can be converted into a flat rectangle making it small enough to fit into a pocket! Great for keeping entertained at home, during car rides, travelling, and any occasion. Measures approximately: 5.00 x 2.40 x 8.20 inches..